I’m always on the hunt for natural beauty brands that will be a fit for my skincare routine while also not breaking the bank. When I stumbled across Pink House on Instagram, I knew it was a fit - from the branding to the brand messaging to the array of products they offer! Pink House prides itself on ‘bringing natural back into the house with beautiful hand made organic and natural products.’ They offer products ranging for hair, face, makeup, body and they also sell sets! Pink House is rooted in a strong will to sell high-quality, 100% natural products for a reasonable price point. With sensitive skin driving my choices in skincare and beauty products as well as my growing awareness of the effects of choosing natural products over artificial, I’m happy to report Pink House is a brand that will be in constant rotation in my home. I was lucky enough to try out three of the Pink House products and I’m here to give you my honest opinion on each product! 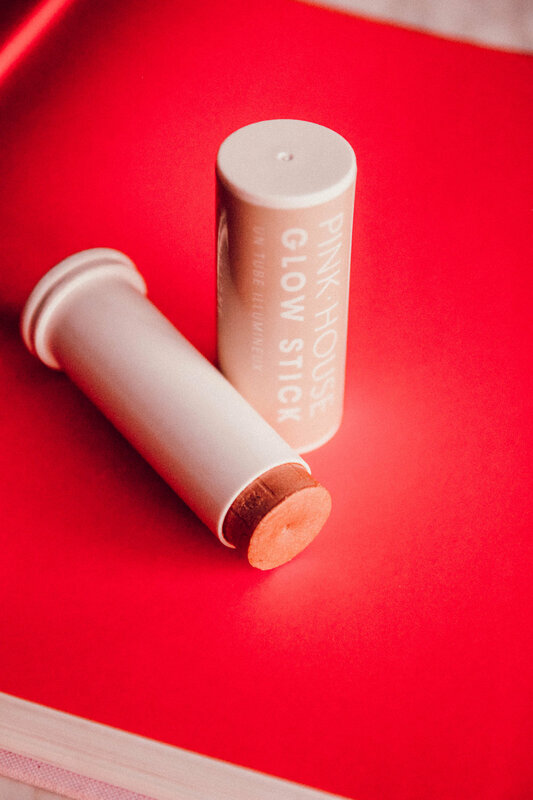 GLOW STICK: I’m a girl who often swears by her Glossier highlighter sticks so I was intrigued to try out the Glow Stick in the Champagne shade (they have many others you can shop here). When I received it, I’ll be honest, I was a little worried. It looked super dark for a highlighter but don’t let the color of the stick fool you! The Glow Sticks add a nice shine to achieve that sunkissed glow you’re craving year round. It goes great on bare skin or over your go-to foundation! I prefer to use mine on my cheeks, nose, chin and above my lips. The shade Champagne is warmer and more transluescent in particular. It’s very subtle when applied. And honestly, you only need one streak to really see the glow. Blend into the skin with fingers or a blending sponge and you’re good to go! The Glow Sticks are 100% natural/cruelty-free and are made from: coconut oil, hemp seed oil, meadowfoam oil, shea butter, organic beeswax, e-wax, rose hip extract, mica. LIP LOVE: Who else struggles in the fall/winter months with dry lips? It’s seriously the worst. Especially when you want to wear lipstick. 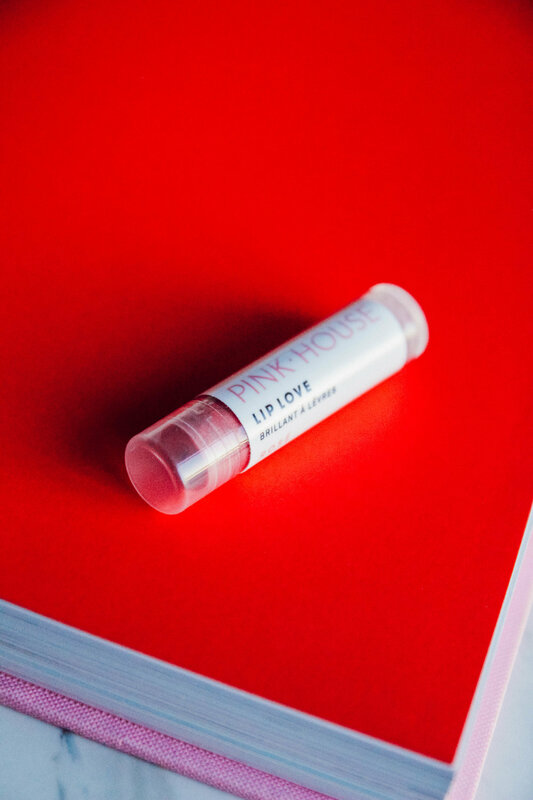 Look no further than Lip Love. These flavorful chapsticks are meant to hydrate your lips and also provide you with the slightest shimmer/color giving you the effect you are wearing lipstick while also moisturizing your lips. There are so many Lip Love flavors to choose from but my personal favorite is the Rose made from: organic bee's wax, organic coconut oil, cilantro oil, vitamin E, Grapefruit Essential Oil, Lemon Essential Oil, Mica. PINK MASK: I’m a sucker for at-home spa nights! I love to pamper myself after a long week with hair and skin masks in particular. 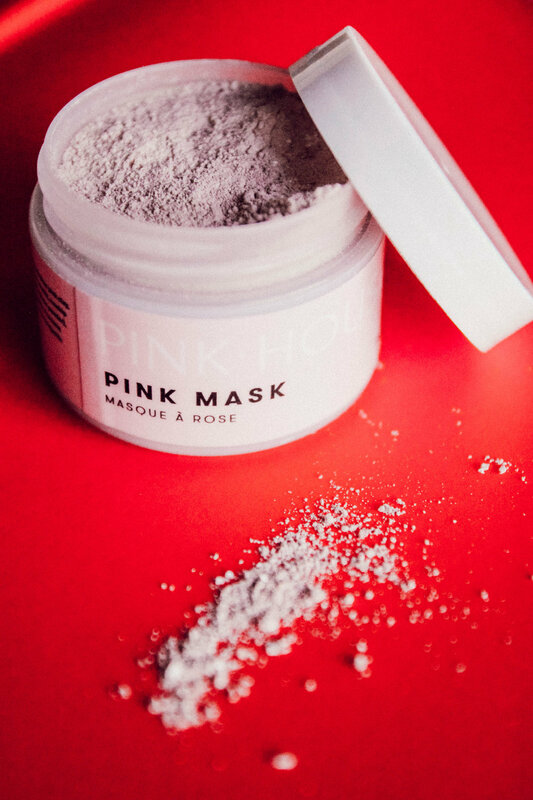 The Pink Mask, a clay skin mask has been a wonderful spa night addition. This clay mask is filled with essential oils that help to soothe and calm when applied. The mask also helps with healing acne scarring/blemishes and also helps with anti-aging. I mix about 1-2 tsp of the clay mask with 1 tsp of water and apply to my face, letting the mask to completely dry (for about 2-3 minutes) then I wash it off with warm water and a wash cloth. The mask leaves my skin feeling smooth and hydrated! It’s honestly a great mask to use in the evening if you’re winding down or in the mornings before you start your routine. This Pink Mask is fragrance/paraben free, which can be challenging to find in face masks. This mask consists of kaolin clay, Australian pink clay, bentonite clay, multani mitti clay (fullers earth), rosehip botanical extract, tapioca powder, Australian beige clay, non-nano zinc oxide, organic frankincense essential oil, organic bergamot essential oil. *Collaboration note: Thank you Pink House for collaborating on this product sponsored blog post! All thoughts and opinions expressed on West Coast Aesthetic are my own and every collaboration is done with absolute integrity.